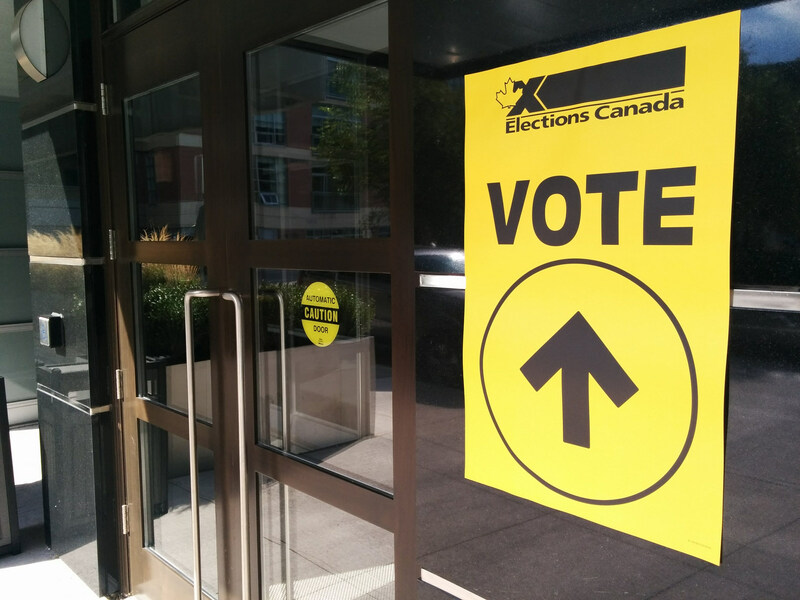 In exactly 7 months, Canadians will head to the polls for the 43rd federal election. Justin Trudeau’s Liberals are fighting for re-election against Andrew Scheer’s Conservatives, currently in opposition. Also hoping to make gains are the New Democratic Party, under the leadership of Jagmeet Singh, Elizabeth May’s Green Party, and the Bloc Québecois under new leader Yves-François Blanchet. As we head into April, with an eventful month behind us, MJPS has rounded up some of the most important election-shaping events of the last month, along with a preview of what to expect in federal politics over the next month. The SNC-Lavalin scandal has caused an uproar in the world of Canadian politics over the past several weeks. Pollsters show the Trudeau’s Liberals declining in support and the overall narrative surrounds distrust and skepticism facing the Liberals. The nightmare heightened this month for Trudeau when minister Jane Philpott handed in her surprise resignation, citing a lack of confidence in the government’s handling of the SNC-Lavalin controversy. SNC-Lavalin was involved in a bribery charge brought forth against them by the RCMP. Not only did it smear the Montreal-based company’s reputation, but it also meant that, should SNC-Lavalin be found guilty, it would no longer be able to bid on federal infrastructure projects and would therefore likely leave Canada. This allegedly caused Trudeau to influence then-justice minister and attorney general Jody Wilson-Raybould to push for a deferred prosecution agreement which would allow the company to avoid this fate. This was supposedly motivated by a desire to preserve the 9000 jobs the company has in Canada, most of which are in Quebec – a province whose seats the Liberals rely on electorally. If Trudeau doesn’t get this scandal under control, his poll numbers could continue slipping and this may cost him the October election. Conversely, there is still more than half a year left before the election, and Trudeau may be able to wrap this scandal up or have it blow over before then. Liberal poll numbers could rise back to majority-government level by the time the election rolls around. Perhaps more interesting is the insight this scandal provides into the NDP’s chances. Even though the New Democrats have been handed perhaps the perfect opening for a rise from their recent floor, support has not been growing as dramatically as we might expect, perhaps showing that the NDP is still too weak to pose a real threat to the Liberals. The scandal far from over, Trudeau was forced to shuffle his cabinet yet again when Philpott resigned in support of Wilson-Raybould. Trudeau appointed Joyce Murray as Treasury Board President in light of Jane Philpott’s resignation. Trudeau reaffirmed the gender balance with this strategic move, which may have the effect of reassuring his voter base that he sticks to his feminist agenda, in light of criticism following the resignation of two high-profile women ministers. The new Liberal budget was released on March 19th, 2019. The budget emphasizes funding for such categories as Indigenous services, a national pharmacare program, millennials, and senior citizens. $8.1 billion has been allocated to settle Indigenous land claims and improve children’s health care services. With $35 million, the national pharmacare program will establish the Canadian Drug Agency, which aims to decrease prices of prescription drugs through bulk purchasing. Millennials and first-time home buyers will benefit from the new shared mortgage program, which will offset home prices by 10 percent. The Liberals may hope that the budget will direct attention away from the SNC-Lavalin saga. In all practicality, it will probably not do as much as Liberals hope for given the persistence of this scandal. In fact, as Finance Minister Bill Morneau was presenting the budget, opposition members made so much noise through thumping and yelling that it was impossible to hear anything. The Huawei debacle began on December 1st, 2018 when the RCMP – at the request of the United States – arrested Huawei CFO Meng Wanzhou in Vancouver. Authorities have alleged that Meng committed fraud against American banks by lying about Huawei’s telecommunication business relations with Iran. Following her arrest, the US made a request for the Chinese CFO’s extradition. “The Chinese side is utterly dissatisfied with and firmly opposes the issuance of (the) authority to proceed,” the Chinese embassy in Ottawa said in a statement. This situation may have serious effects on Trudeau’s re-election. In a recent speech, Trudeau confirmed that Meng would remain in Canada to be tried by our independent judicial system. He has refused to allow the politicization of Canada’s judiciary by politically-charged diplomacy, maintaining that Canada’s rule of law is of utmost importance. The Huawei case has posed additional problems to Trudeau as he attempts to handle the unfolding SNC-Lavalin drama, with some viewing the two as representing contrasting applications of the rule of law. The Chinese government used the SNC-Lavalin media coverage to criticize supposed hypocrisy in the Canadian government’s upholding of judicial independence. If this re-emerges during the debates leading up to the election, Trudeau may find himself answering unpleasant questions on both SNC-Lavalin and Huawei. Alberta’s next provincial general election was set on March 19th, 2019 by premier Rachel Notley. She called for the election to take place on April 16 – more than 6 weeks earlier than legally mandated. Polls show that the election will be won by the Conservatives in Alberta, which means yet another province flipping to conservatism. Although Alberta already provides almost no seats to the federal liberals, this election could threaten Trudeau’s Liberals by contributing overall momentum to Andrew Scheer’s Federal Conservatives in October.